Tract 15 fronts both Arnold Court(culdesac) and Ellen Sims Court. Zoned heavy industrial this lot can be subdivided if need be. Over 50 acres of additional land in the Industrial park is also available. 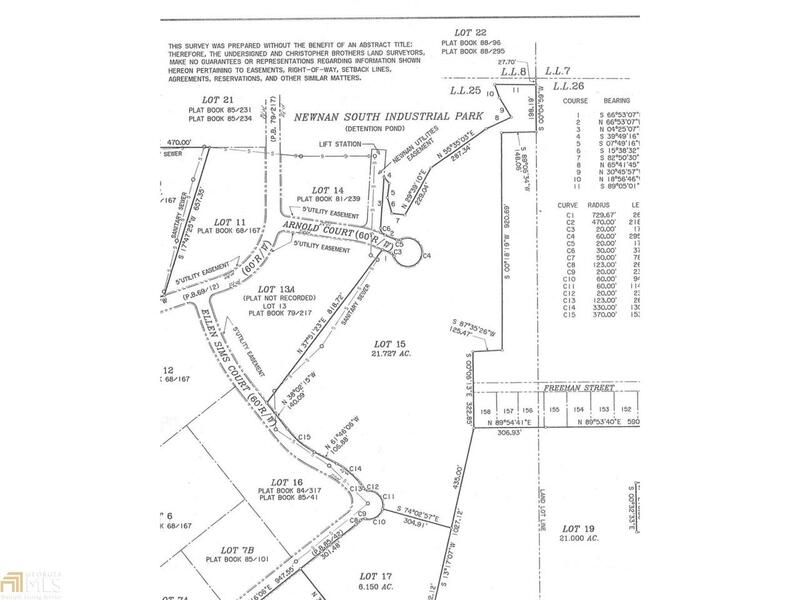 All this acreage has access to sewerage and water provided by Newnan Utilities. *Note* The address '200 Ellen Sims Ct' has not been assigned to this property. It is given to assist in locating this property. Listing provided courtesy of Lhi. © 2019 Georgia Multiple Listing Service, Inc. All rights reserved. Information Deemed Reliable But Not Guaranteed.